Building 8 has fairly limited hours and now after visiting I understand why. In fact, I do not recommend you make a stop by the brewery unless you cannot find fresh cans near where you are staying. 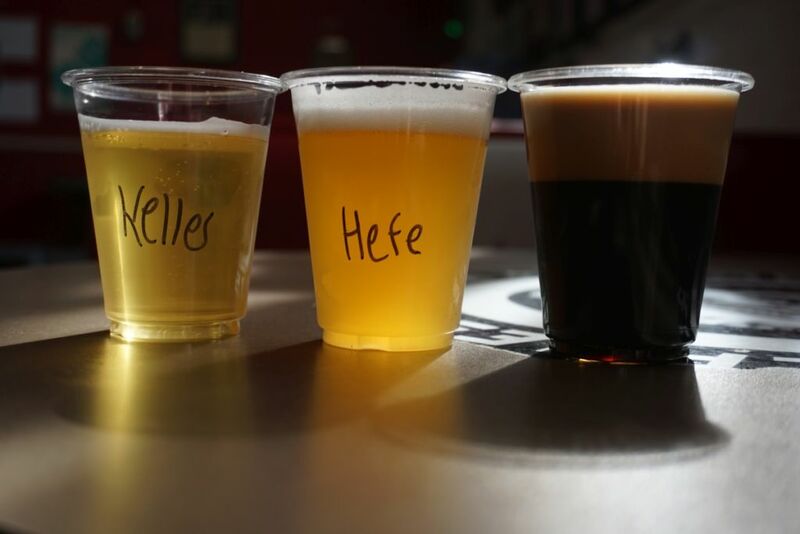 They had three beers you could taste, one of the three being poured from a can. 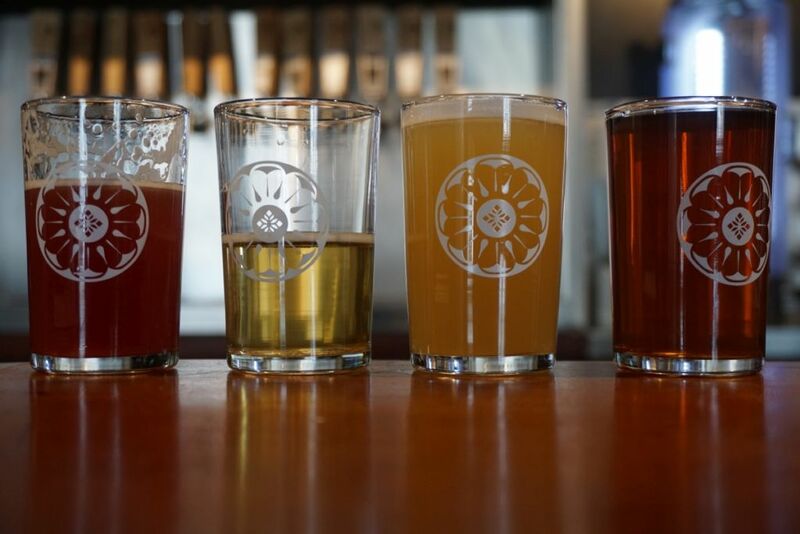 All three hoppy beers were low on hop aroma and more in the style of hop bitterness aiming for a crisp dry finish. The session IPA was crisp with low bitterness and mild hop character. The beer was easy drinking enough but I would’ve preferred a little more hop aroma. The IPA was classic and balanced for a beer focus on bitterness over aroma. It was similarly easy drinking and delicious. 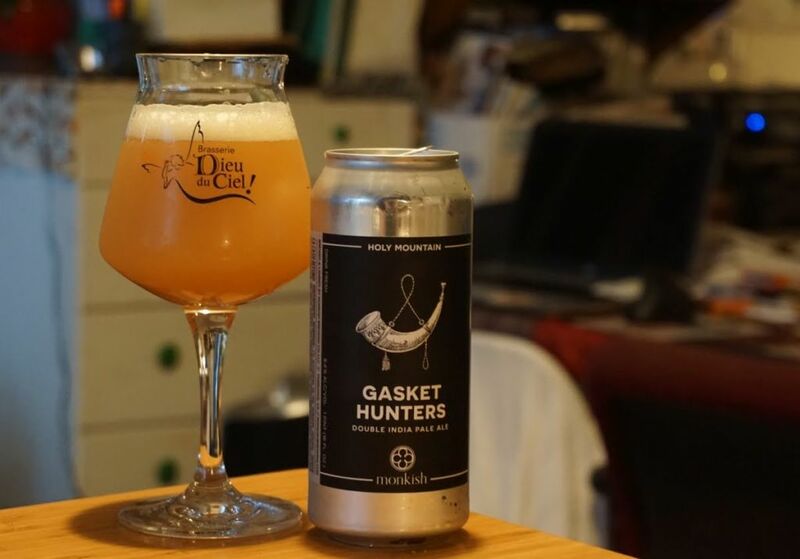 The double IPA was poured from low fill cans, so it was a bit oxidized. Still, the beer had a nice balance to it and the bitterness was not overpowering such that I was still able to go back to my session IPA and tasted fully after some sips of the double. 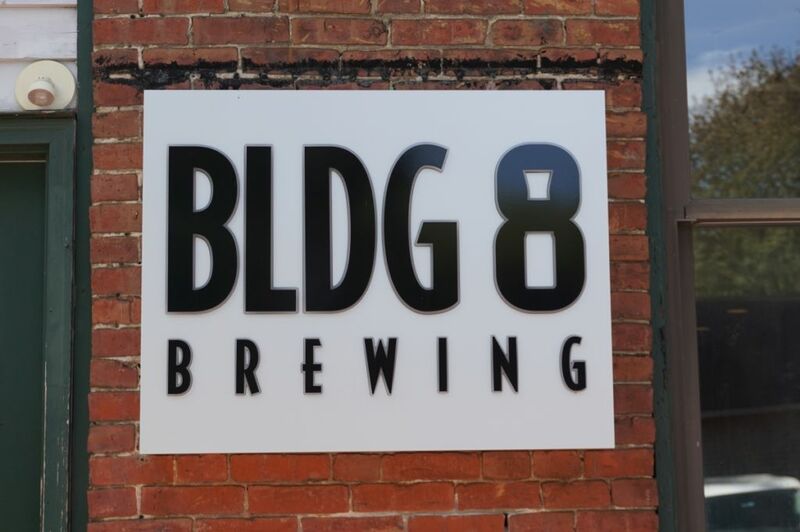 Whether or not you enjoy the beers from building 8 will depend on whether you enjoy this classic style. With so many good options showcasing hop aromas, I don’t typically seek these out although they were quite well done and I especially could see myself drinking a bit of the session. 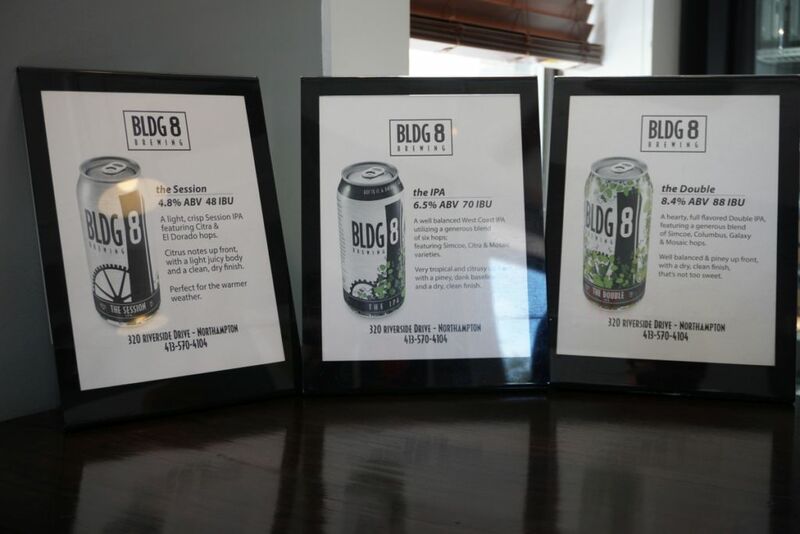 You can find Building 8 cans all around the surrounding areas and if you can find them fresh you can get the same experience buying cans to drink at home. 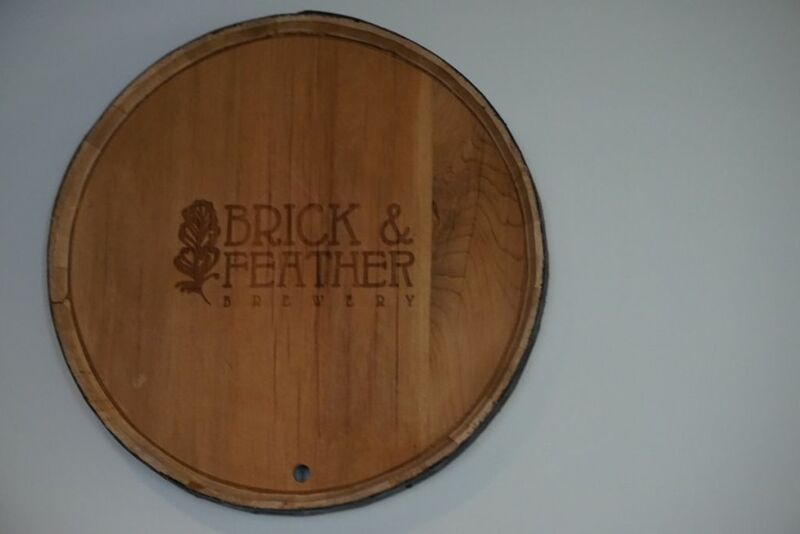 brick and feather only had four beers on tap when I stopped by but they were all well-made and indicated to me that the brewery is on the right track. They have a good-sized tasting room though not a lot of seating. 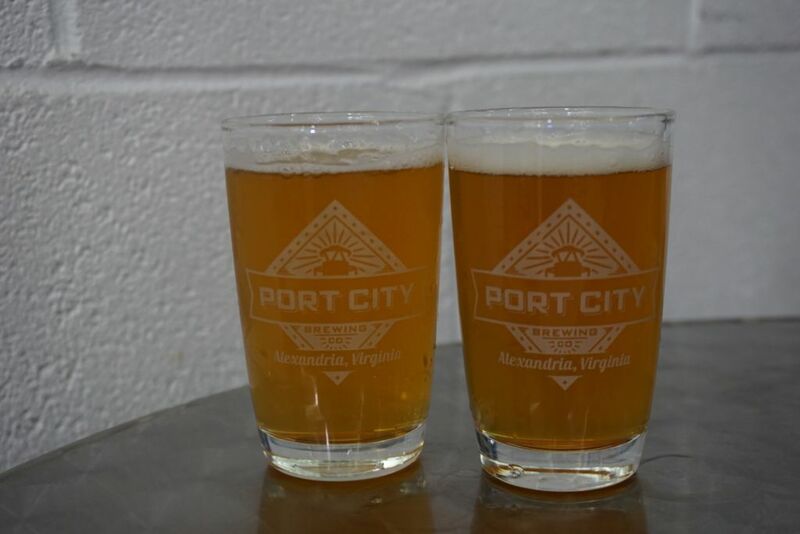 Unlike most breweries, the largest poor you can get is 10 ounces even from some of the lighter beers. 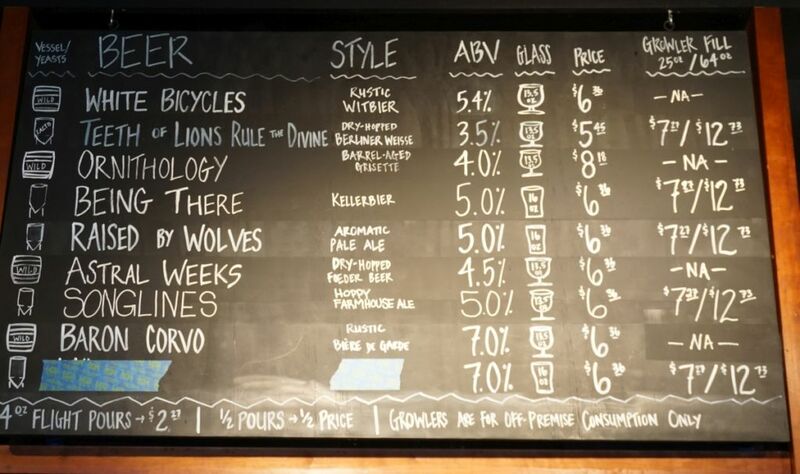 Their pricing favors growler fills. I started with the biere de garde. It was mildly fruity with a lightly tart clean finish and notes reminiscent of a Belgian pale. I had a pint of the beer the night before and while I was expecting it to have a bit more malt character, it was nicely done. 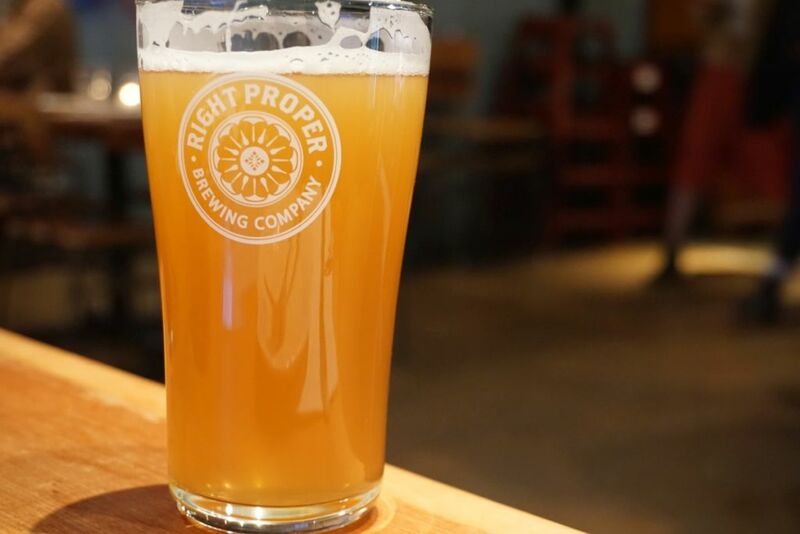 The pale ale was bursting with bright citrus and pineapple with a soft body, low bitterness, and mild hop acidity on the finish. 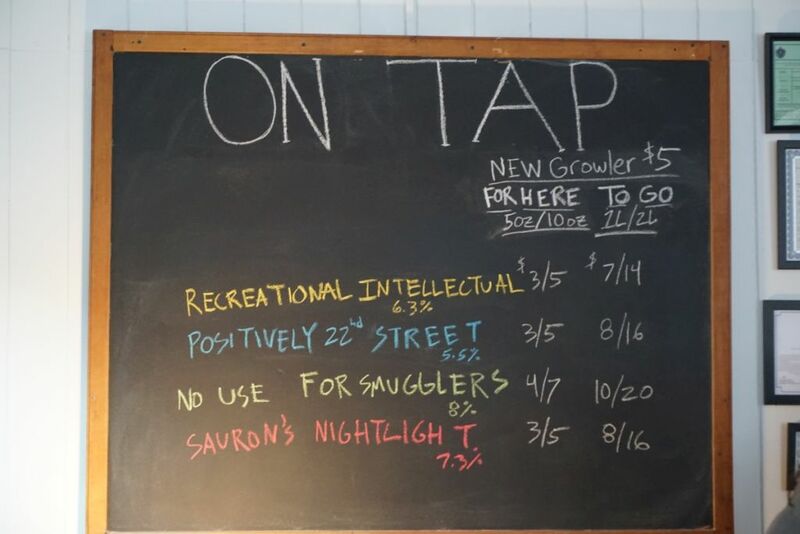 I brought a growler of this beer back and enjoyed a few pints later the same day. The Porter was nicely balanced with notes of birch toffee, molasses, and had a lightly bitter finish. 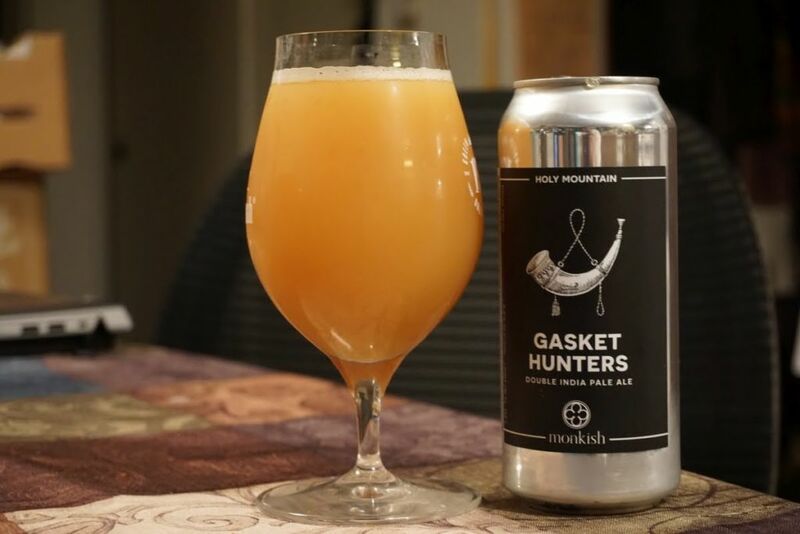 The double IPA was an explosion of tropical fruit with a viscous mouth feel and some sweetness that could have been from the addition of lupulin powder. While I referred the flavor of the pale ale, the double IPA was still better than most in the surrounding area with the exception of treehouse. 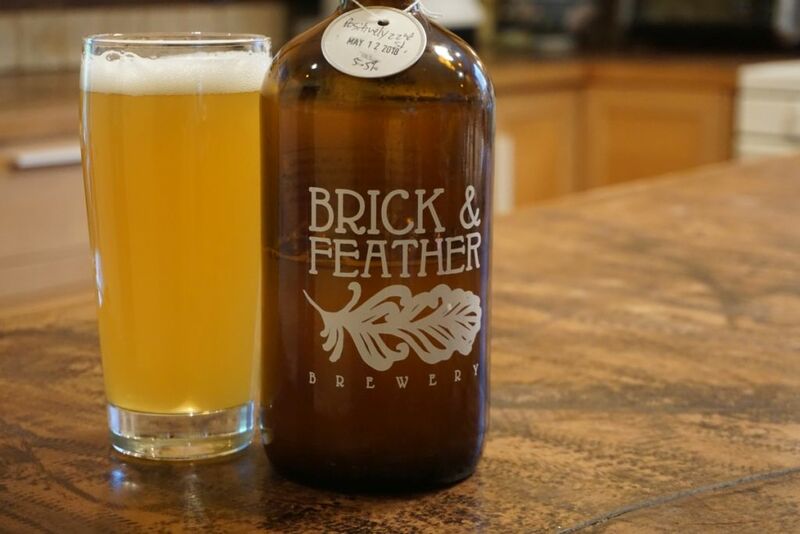 Brick and Feather is a great little brewery worth stopping by if you are up in the area. 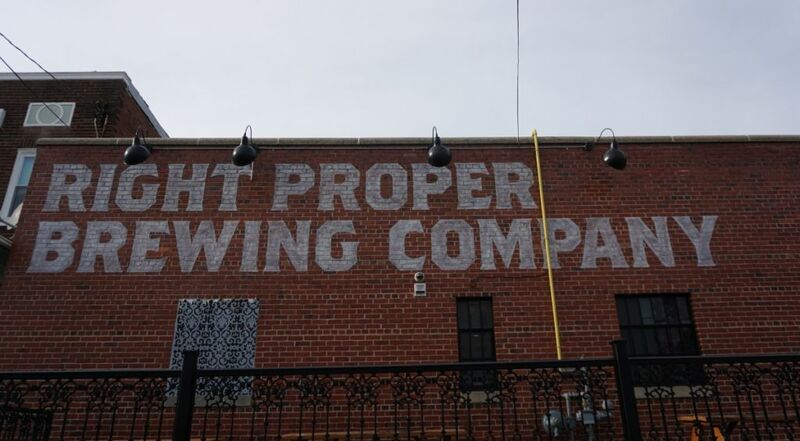 You can find their beers on tap around the area if you can’t make it to the brewery itself due to their limited hours. Though they also release the occasional small batch cans that you can only find at the brewery. 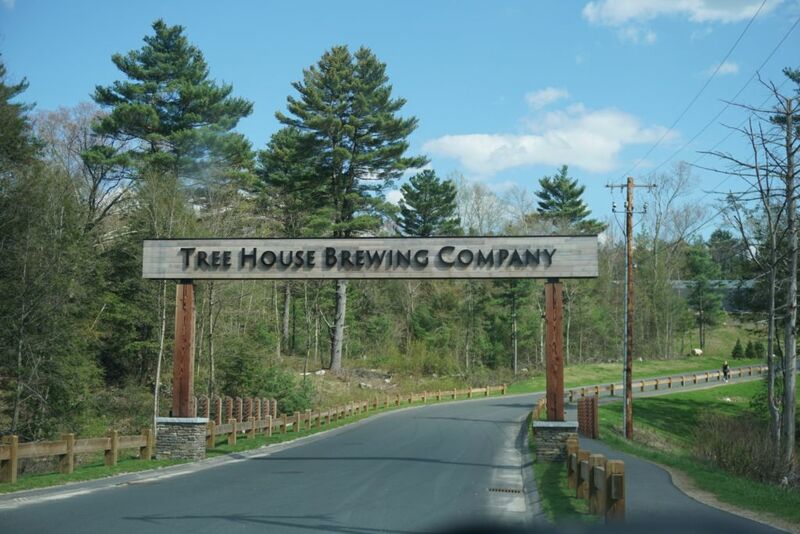 Tree House has been a beacon for hype in the beer world for many years. 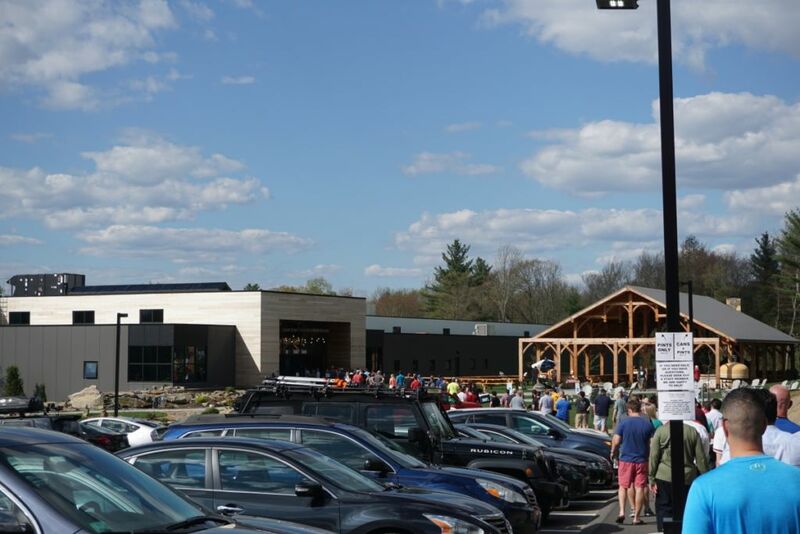 In July of 2017 they officially opened the Charlton MA facility to the public, expanding the offerings of beer available for on site consumption, and greatly increasing amounts of beer available in cans. I visited the previous location in Monson just about a month before the new facility opened and am including a brief description of that visit to contrast with the experience I had recently in Charlton. 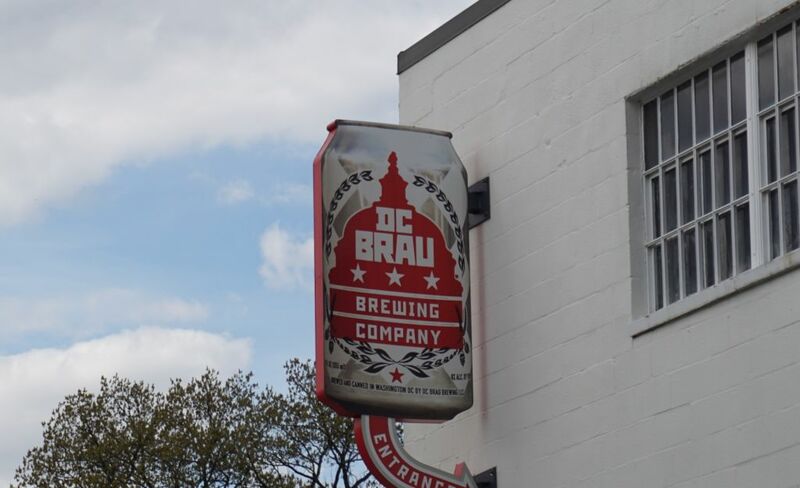 In the old facility, they would only occasionally pour draft beer after they sold out of cans. On the Saturday I drove out there I spent 45 minutes in line after driving an hour and a half from Boston to walk away with 8 cans and that was only because my husband was with me (limit 4 cans per person). In the new facility, on an extra busy Tuesday I waited in line for an hour and a half to walk away with 2 bottles and 64 cans and was able to hang out after to have a few pints. Typical Tuesday lines are much shorter according to the people in front of me in line. And if you know the right people you can get some real time updates on the lines. But since word got out that they were releasing a rare imperial stout, the line remained steady until we left the brewery around 6:30PM. Then line from where I joined it. 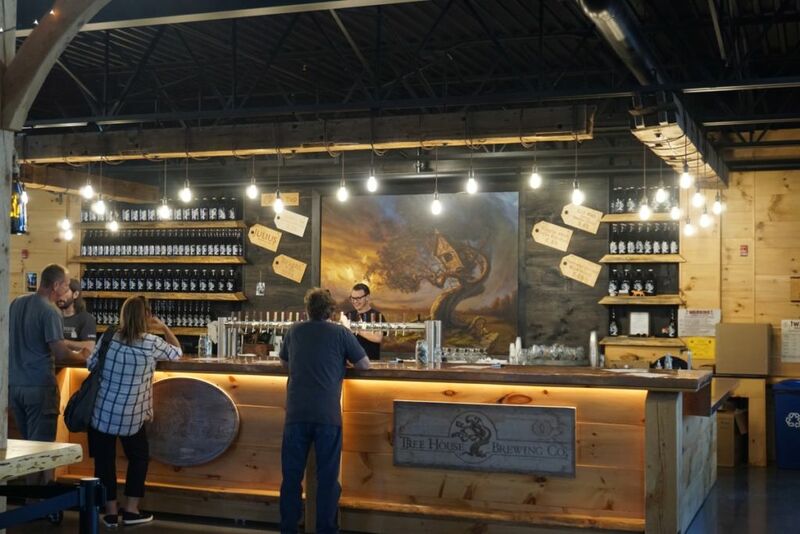 With the move to the new facility, Tree House has massively expanded production so locals who want to drink nothing but Tree House can easily do so with a monthly visit to pick up cans. 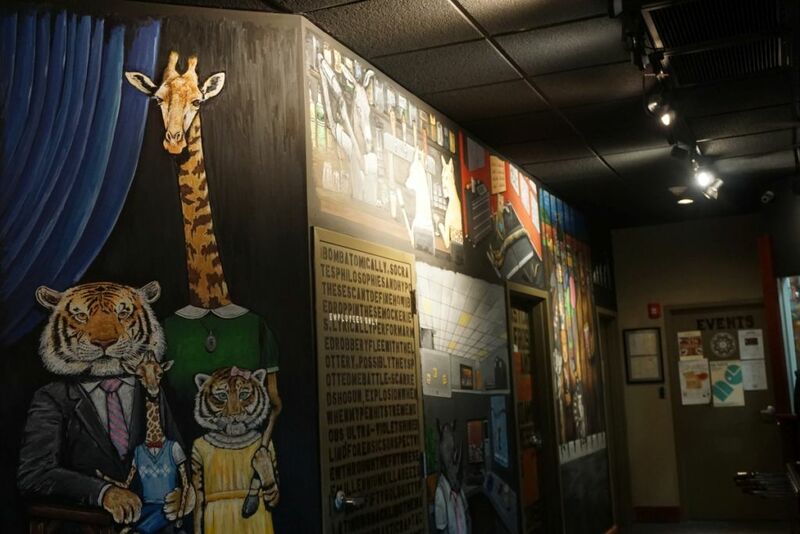 The expanded production has also allowed them to bring back other styles of beer and make more stouts, porters, and even an ESB and a pilsner. 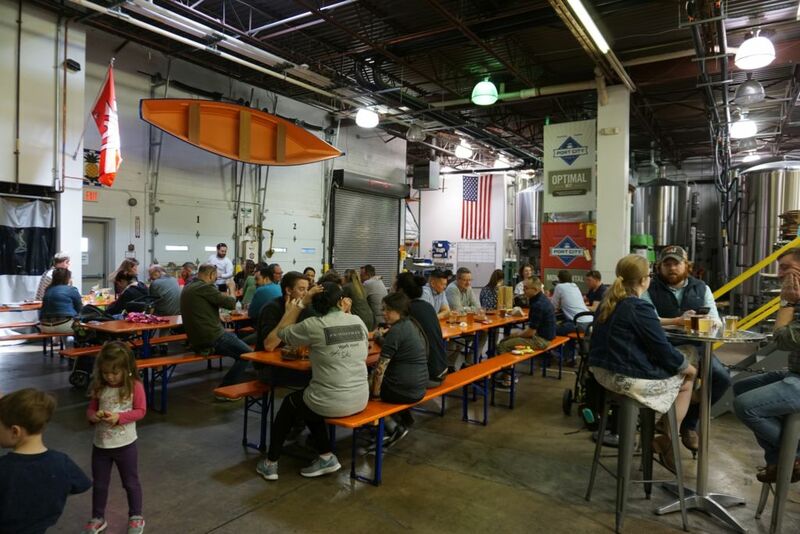 IPA fans can now fairly regularly show up on a Tuesday or Saturday and find hazy favorites on draft that can be enjoyed in their massive outdoor seating. On the sunny Spring day I was there, I could see many people enjoying their beers in the open air in the relaxing chairs spread throughout the facility. 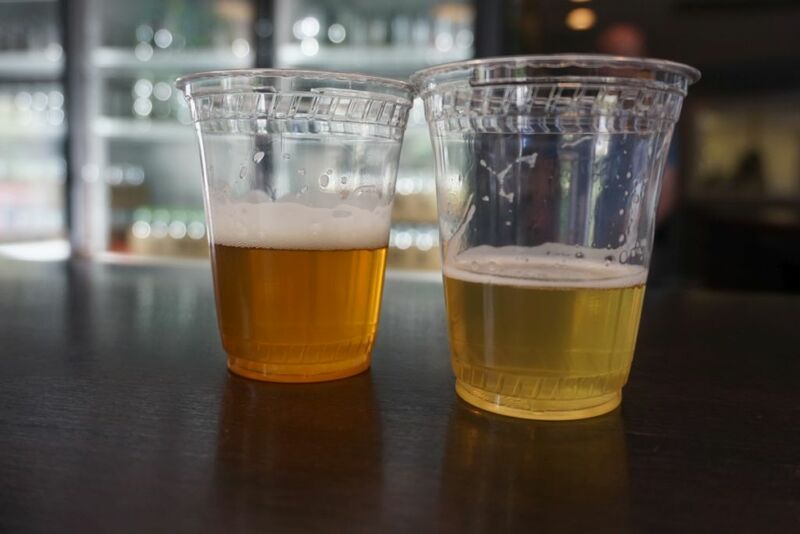 They limit each person to 32 ounces for on site consumption to keep it more of a tasting room experience. Purchasing cans is one of the most efficiently run system I’ve experienced. People fill out a slip of paper with the beers they want to buy. You hand the paper to the employee at the front who quickly rings up your cans while someone else brings the cans out to you. People buying beers by the case can leave even faster because they have cases stacked up in boxes ready to pass to customers. If you buy more than 2 cases, be prepared to have a friend help you carry them or ask for a dolly. I had to stop twice on the way to the car with 2 cases in hand. They are working on making this even more efficient so that I hope my next visit will be even faster. If you plan to fly home with the beer, I suggest bringing some hard plastic six-pack or four-pack holders so they don’t move around in your luggage. The serenity of the Charlton location is only going to get better. They recently announced the outdoor space will be expanded further and soon they will open miles of hiking trails in the surrounding space. They also just added a pizza oven that should be used for great things. 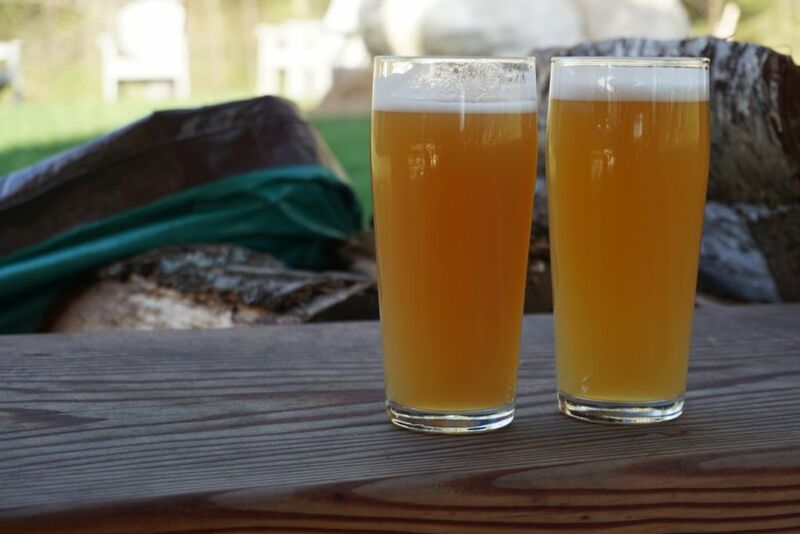 Despite spending an hour and a half in line before I ultimately got my beers, the hour or so I spent sitting in their outdoor space sipping Julius and SSSap were revitalizing. This was my first experience of either beer and they lived up to the hype. 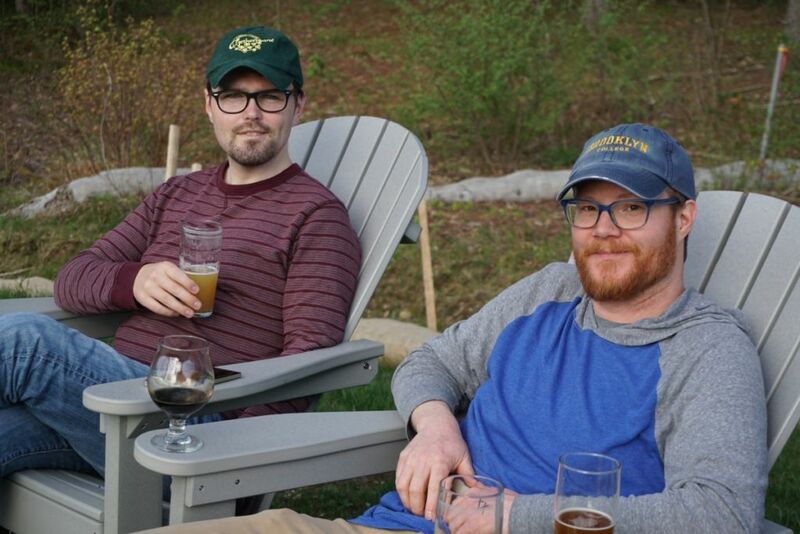 Me (left) hanging out with my friend who joined me at Tree House. It was his first time. 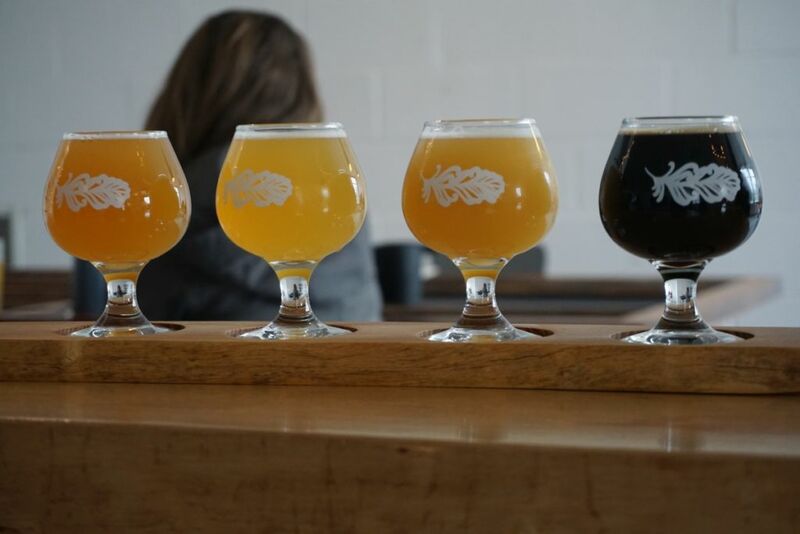 To get an idea of the progression of the new facility, they opened Charlton in July of 2017 and by September 2017 you could regularly pick up 20 cans per person in a single visit. 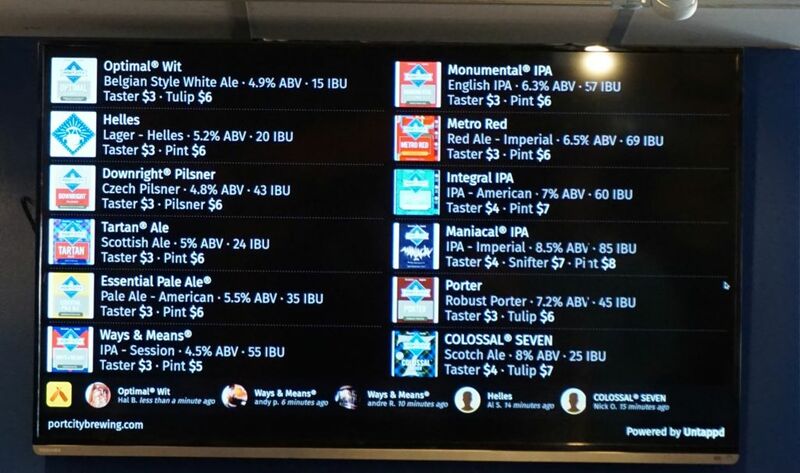 By January 2018 they had multiple beers available with a limit of a single case. By March 2018 you could show up and buy a case of each of 3 beers. 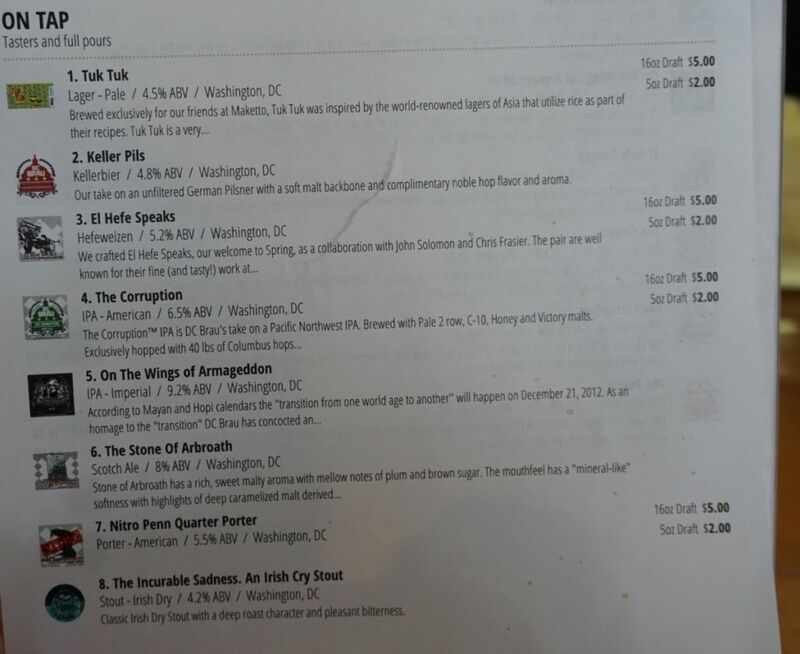 During my visit in May of 2018 I had four IPAs to choose from with a limit of a case. 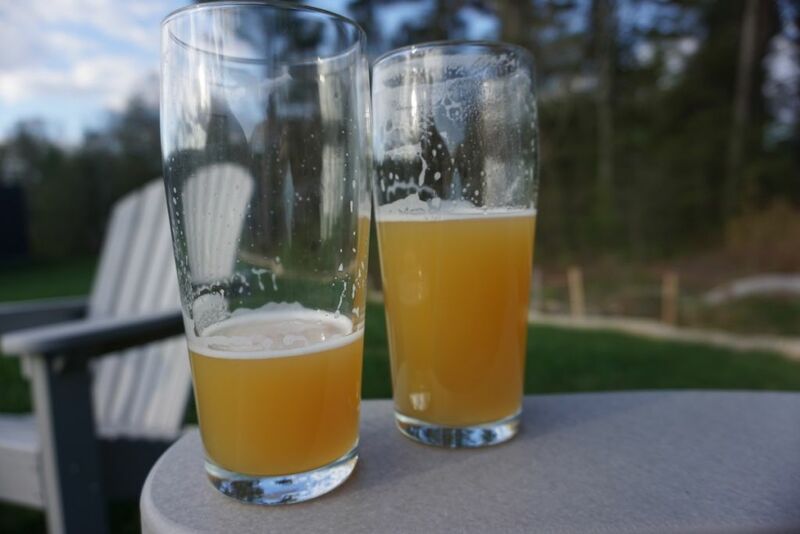 Of the beers I have had since I came back from my trip I am quite satisfied by the quality of the beer and they still rank up there with some of the best hazy IPAs I have experienced around the country. They are one of the few that consistently produces delicious balanced hazy IPAs at around 7% alcohol while not overwhelming the palate. The fresh batch of Green I brought back was especially delightful and had a more pillowy mouth feel than most at that alcohol percentage. 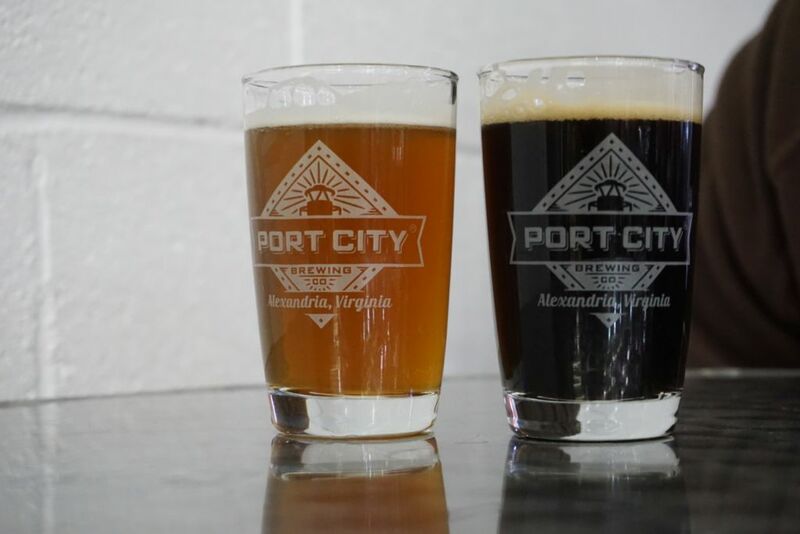 Port City is a nice neighborhood brewery in Alexandria and overall they had a solid lineup of beers that were quite enjoyable. 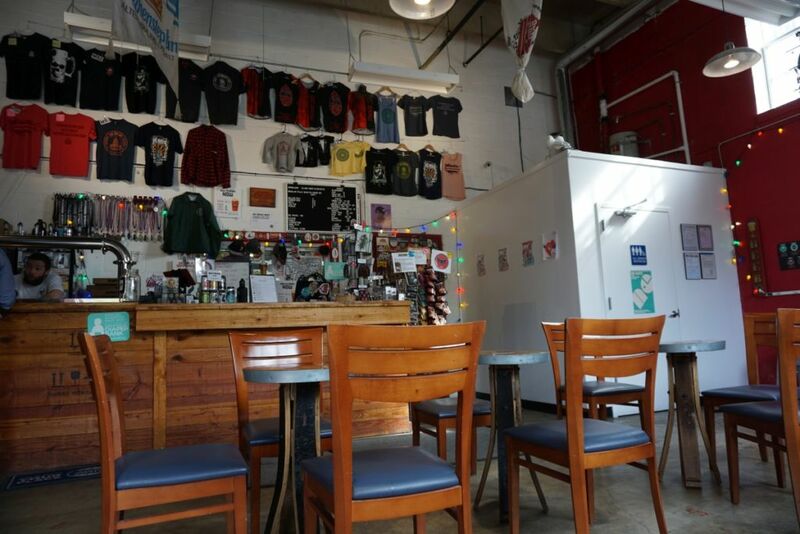 They have a wide open tasting room with tons of space to sit both inside and outside. 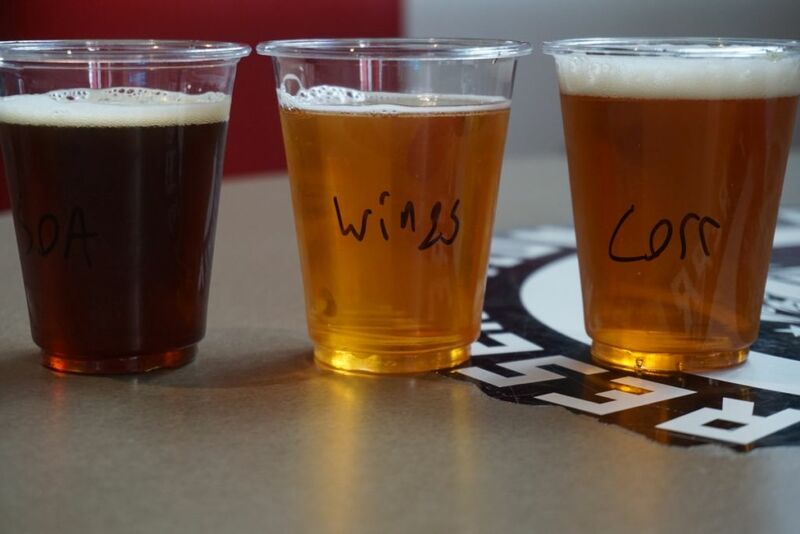 Because they don’t have taster flight trays, they give you one or two tasters at a time from your six taster flight. This works out well for the most part. I started with the porter. It was roasty and lightly smoked with notes of cherry, bitter chocolate, and toffee. The beer was easy drinking with a nice medium body. I can see why this is an award-winning porter. The scottish ale was easy-drinking with notes of cherry. It would be quite easy to drink down by the pint. The session IPA had a mix of bitter grapefruit and floral hops with a strong bitter finish. The beer had a good medium body and a crisp dry finish. Though I would prefer slightly less floral hops, this was well done. 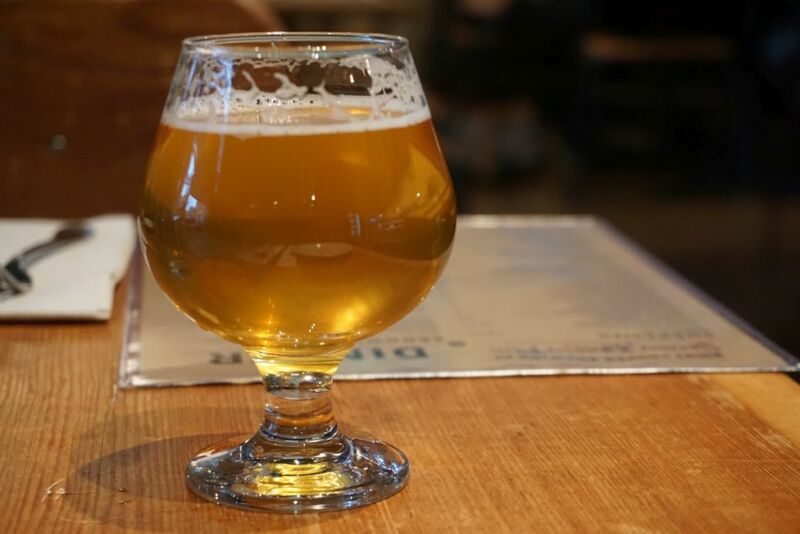 The English IPA was lightly sweet with a soft body and notes of peach. The flavors balanced nicely with a mild bitterness on the finish. The Integral IPA was soft and juicy with bright citrus on the notes and notes of juicy tropical fruit and melon finished off with a light bitterness. I really enjoyed this one and might have had a pint except a band was about to start playing where we were. The Scotch ale was a caramel color and had notes of caramel and raisin with a hint of cinnamon to balance out the sweetness. 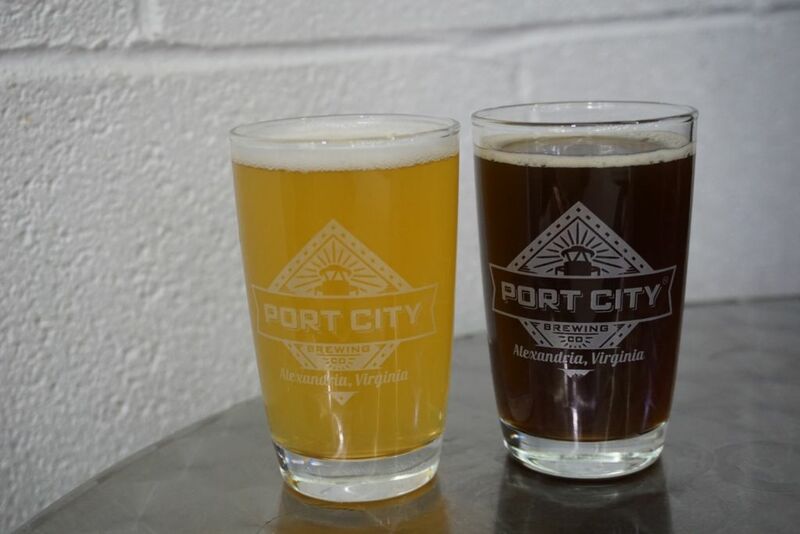 All the beers I tried at Port City were well done and they had an excellent porter and IPA. This is a great neighborhood spot and worth visiting if you are in the area.